While Ryan Coogler’s Black Panther continues blowing minds in the run-up to Avengers: Infinity War, Marvel Comics (remember, they have comics) knows when they have a good thing on their hands. Though the movie may be called Black Panther, it’s just as much about the people of Wakanda, and the small group of heroes that could give the Avengers a run for their money. Except right now, they’re going up against the X-Men. And oh, yeah, Spider-Man has something to do with it, too. 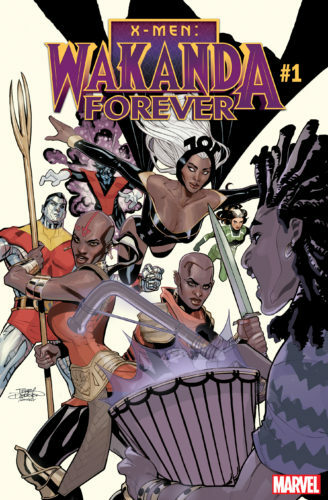 The Dora Milaje, the female warriors who are, let’s face it, pretty much as good at fighting as the Black Panther without the benefit of the heart-shaped herb, will team up with the merry mutants in Wakanda Forever. Since in the comics, there was a brief time when Storm was actually married to T’Challa, this crossover doesn’t come out of nowhere. 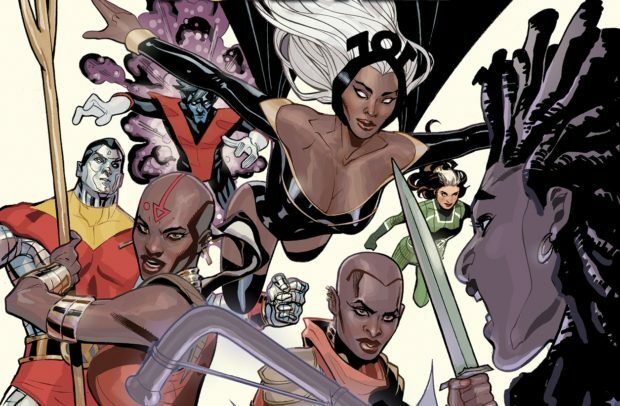 But now it makes me think cinematically — after X-Men: Dark Phoenix hits theaters, and Disney’s buyout of Fox completes, wouldn’t it be something if the introduction of the X-Men to the Marvel Cinematic Universe starts with Black Panther 2 — just the appearance of Storm? Marvel could weave various X-Men throughout the next few movies and before you know it, we have a legitimized reboot of the franchise. But let’s not get ahead of ourselves. Instead, let’s just enjoy Wakanda Forever. If you’re a science fiction fan, you need to pay attention to this. Nnedi Okorafor just got named as a finalist for a Hugo Award in 2018, for the novella Binti: Home. I’m in.